I struggled all night to sleep soundly. The kids woke me up. The breathing of my husband woke me up. I am almost certain that the quiet woke me up at one point. In truth, I think that knowing I needed to be rested so that I could get up and get going was the thing that kept me from sleeping. Because that is how it works, at least for me. The more I am focused on me, the more difficult it is to do what I know I need to be doing. This week, on the CWA BlogTalk Radio broadcast of Growing HOPE, we are continuing on the journey through Philippians. In Chapter 3, Paul reminds us that it is not a fleshly thing, that no matter the accomplishments, abilities or skills of the flesh, it is all nothing without Christ. In other words, it is NOT all about me. The world wants me to believe that it IS all about me. I have to pick myself up by my bootstraps. I have to get it all done. I have to make the difference. In truth, it is much more like my friend Chris shared. Chris was working in the barn on a large piece of equipment. His six-year-old son came in and saw his dad straining to turn the heavy wrench. “Let me help you, Daddy.” The boy put his hand on his dad’s and Chris turned the wrench. I can do little more than put my hand on God’s. He will always be the one that turns the wrench. Until I get there, to that place where I recognize (like Paul) that it is all for nothing without Christ, then I will continue to struggle with the things the world tries to convince me is right. 1. Master the mood. I have this down on most days, but even a heart of rainbows and lollipops needs some redirecting now and then. 2. Watch the words. I normally have this one down because of my focus on the power of words, but a little slip here and there leaves me in a bad place. I have been slipping as of late and need to redirect this path. 3. Stick to the schedule. It is more than planning. It is consistently doing what is planned. Just a little here and a little there – until I reach the goal. 4. Manage the money. I look at this as stewardship. I have to be using all that God has provided to the best of its use, for His purpose and within the design that He has for me. 5. Maintain the health. It would be nice if there was a pill to magically fix everything, but like the rest of my life it all comes back to choices. I need to make one better choice. I then need to make one better choice. And then I will make one better choice. I just have to start walking out what I know. It takes one step. Are you ready to take it? Please, take a moment and share with me about your own “self” journey. I look forward to hearing your stories and your triumphs! 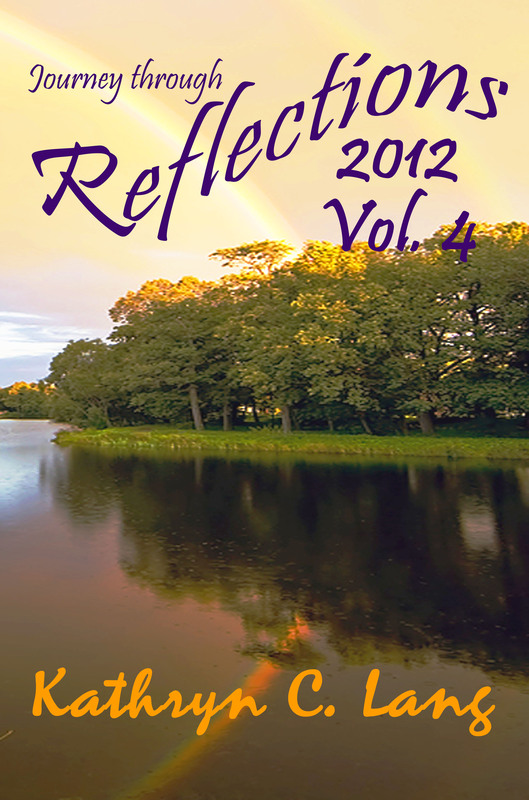 Click the link to order your copy of one of the Reflections books – the Building Self-Control article can be found in the 2012 edition. Click below to order your copy of “In His Steps” either in print or electronically. Visit the Christian Women Affiliate (CWA) website by clicking the link.